Mark is an excellent teacher. The sound of him saying mirrors, signal, maneuver has been solidly etched in my brain. He is patient and lets you know what you did wrong and how to correct it. I passed my test the first time and couldn't have done it without his help. 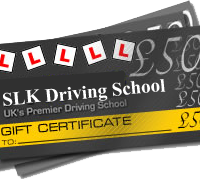 You won't be disappointed choosing SLK Driving School. Thanks again Mark. Mark has been a great teacher making my lessons enjoyable. Taking to the wheel for the first time is quite daunting but Mark put me at ease from day one. 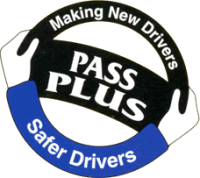 I am also looking forward to starting the Pass Plus course. I will be recommending Mark to my friends and their parents. Best decision I made getting in touch with Mark! I had had a really difficult time learning to drive full of upset and bad advice. Then Mark came along and changed my driving experience from stressful to a pleasure! He suggested quickly that I might benefit from using a steering ball. I have cerebral palsy and struggle with left hand turns and had failed a couple of tests due to this. With my new way of driving I loved it. Mark was calm and patient throughout. He's kind and easy to get on with which boosted my confidence massively. Towards the end he allowed me to drive without much assistance to get plenty of practice. He was flexible with my needs and understanding when I needed to reschedule due to pain, illness or tiredness. All round brilliant experience which has resulted in my life changing for the better. Thank you so much Mark!